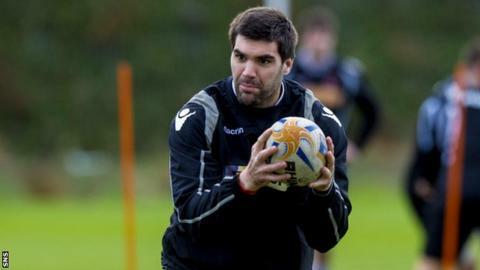 Argentine centre Joaquin Dominguez has agreed a contract extension with Edinburgh which will keep him at the club until the summer of 2015. He joined on an initial two-week trial in September from Buenos Aires side San Isidiro before signing on for the season. And he has started in five of his six appearances for the club. "He's improved immeasurably over the past four months," said head coach Alan Solomons of the 26-year-old. Dominguez told the club website: "I came to this club looking to make the most of this opportunity and stay long term so it's great to have achieved that goal. "Since I started it's been examination after examination, to prove myself to the coaches, so I'm delighted to have secured my future here."